We all know someone close to us who has had cancer, and by 2020 nearly half of us born in 1960 will be living with a diagnosis of cancer ourselves. Our ability to detect cancer earlier, to understand why some people get it and others not, to find the right treatment and cures for each person requires research, analysis and knowledge, but above all, high quality, accurate data on every case. This week sees Public Health England combine the National Cancer Registration Service with the National Cancer Intelligence Network to create a single new function: PHE’s National Cancer Registration and Analysis Service (NCRAS). It is this Service that is responsible for collecting, analysing and providing the data to support all patients diagnosed with cancer in England. England has been collecting data through the cancer registries for over 70 years. The registries were originally created as a public health measure to protect the whole population from radiation exposure; to identify if there were clusters of cancers in certain areas or related to particular industries and to make sure we could recognise increases in the number of cancer cases. Cancer for a long-time was seen as an incurable disease and registries counted how many people developed cancer, what type of cancer it was and then how many died from it. Over the last thirty years our understanding of why cancer arises and how we can treat and cure it have increased enormously – this is why so many people are now living after having had a diagnosis of cancer. Although we still need the basic information on the numbers and types of cancer in the population, if we are to give the best cancer care to everyone in England, we need to understand much more about every cancer that someone might get. The National Cancer Registration and Analysis Service has over two hundred staff dedicated to finding and collecting data on every case of cancer. The quality, scale and accuracy of the data collected by our service is unmatched anywhere in the World. It puts England at the top of the premier-league of cancer data collection and analysis and makes the NCRAS the single most important source of data on cancer in England. A complete and detailed collection of data about every cancer is the key to understanding this complex disease – the symptoms people have, how their cancer is diagnosed, how they respond to treatment and how their own cancer progresses over time. In the same way as we are all individuals with different characteristics and behaviours, so is everyone’s cancer. Cancer occurs in every part of the body and we traditionally classify cancer by the organ in which it first develops. There are around 150,000 of the most common cancers that occur in the lung, breast, prostate and colon but a further 200,000 less common cancers arising in the brain, blood, pancreas, ovary, stomach and or in the skin as melanoma. Under the microscope we can see around two hundred different types of cancer. However, as we come to understand more about the molecular and genetic basis of cancer so has it become clear that there are hundreds of different changes in each cancer, and that these molecular defects in a person’s tumour will also change over time. This makes working out how to treat each person much more difficult and is the biggest challenge of Personalised Medicine. This means that everyone’s cancer is now essentially ‘rare’ and the number of people with similar cancers is much less common. So to help each individual with cancer we need to build very large collections of data from every other patient with cancer in England. 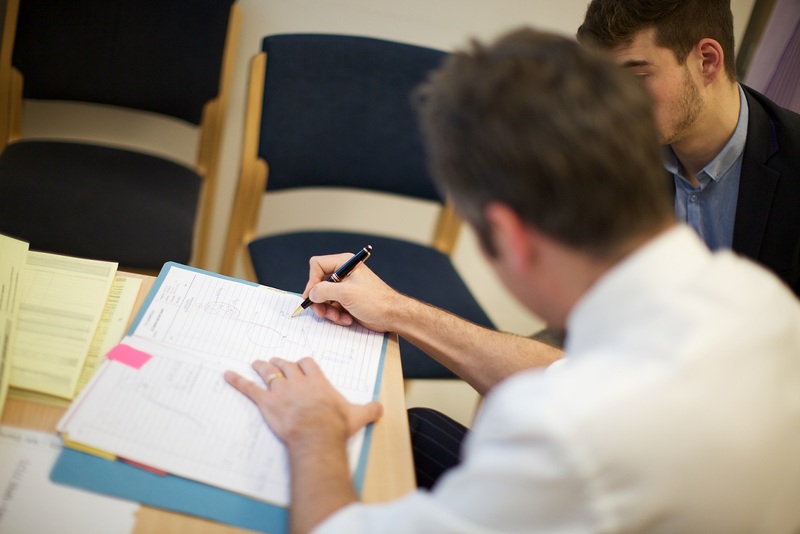 Our register is a population register – we don’t just collect data on some cases of cancer, we gather data on all cases of cancer in anyone living in England. It is because we know about everyone with cancer, that we can use the data to understand how common cancer is in different parts of country; whether treatments are as effective in each hospital; whether survival is as good for everyone and recognise unacceptable inequality and variation in care and outcomes. It is so important to know about every case of cancer in the population that we have been given legal permission to collect patient information without needing the consent of the individual patient. NCRAS is run by doctors and our duty, and that of all the staff, is to protect every person’s confidential data in exactly the same as if we were the doctor sitting in front of you in the surgery or clinic. We never release medical information in a form that might identify an individual – unless the patient has given their consent or it is to a clinician already treating them or the requestor has been granted their own legal permission to know about the patient without their consent. We are also only allowed to use any of the data we hold for medical purposes and it is against Government policy to sell data for profit. We fully comply with the Data Protection and the laws governing access to medical records – so we must make sure you know about the data we hold about you and, should you wish, we will give you a copy. Working with Cancer Research and the Brains Trust we have created an online patient portal through which anyone with cancer who has their data on the cancer registry can access their own data, comment on it and decide with whom they wish to share it. The portal can also be used to show each person how their data has been used and if it has been shared. Every cancer department in the NHS is sent a patient leaflet explaining what cancer registration is, what data is collected and how, should an individual wish, they can opt out. They are asked to share the leaflets with their patients and to make them aware of the work of the registry. We also run a national conference for patients and professional to show how the data we collect is used. In the last ten years we have only had five patients contact us and ask to be removed from the registry. Having complete data on everyone is also very important because it makes sure our analysis is as accurate as possible and that any differences are not simply a result of chance. If there are large numbers of missing patients, even 5-10% of cases, then we will not be able to detect important differences between cancers, treatments or clinical practice. So for example, if we do not know about cases from one GP surgery or one hospital we do not just lose the information about those individual organisations and what happened to their own patients, we weaken our ability to recognise important differences in all other organisations and that affects everyone else. Should we ask everyone for consent – an opt-in model? In an ideal world we would be able to explain to every patient and their carers why we wish to collect their data for cancer registration, answer their individual questions and seek their consent to include their data. For cancer registration we could also ask each individual for their specific consent to be included. This would be a significant undertaking and potentially very expensive, however the issue is not one of cost, it is that even if we are successful in recruiting a remarkable proportion of 80% or 90% of the population, the missing 10% will not be a random group of people – we know that they will be the poorest, the most deprived, those with mental illness, or in ethnic groups, or for cancer, those patients who die rapidly of their disease or who are too sick to give their consent. We will end up with a phoney and distorted population register that may satisfy the demands of the most vocal in society but which immediately disadvantages those in most need. The individual nature of cancer makes it important to collect large numbers of cases from across the whole population. For example, we now know that hereditary cancers may not be of the same type so it is important to know about all cancers. We receive more than 20,000 requests a year from clinical teams asking about family members with cancer. The complexity of potential causal factors, particularly the associations with environmental or work-related , requires an unbiased and complete dataset so that even small numbers of cases and local issues can be identified. By collecting and understanding this information we have the ability to reassure the public about possible causes and advise on how to minimise risks. The cost to the economy of cancer and the cost benefits of expensive treatments will not be possible without accurate data on outcomes and interventions. It will not be possible to assess the benefits of initiatives such as the cancer drugs fund or new treatments such as proton beam therapy. Having a complete high-quality national cancer registration and analysis service for the whole of England is one of the greatest achievements in Public Health. It has been run and nurtured for many decades to deliver a resource that benefits every member of our Society, not just now, but for future generations. It is the only way we can hope to deliver equitable, world-leading cancer care for everyone in England.